Depending on your knowledge of this particular subject, this may or may not come as a shock to you. Personally, I was quite surprised when I heard about this. 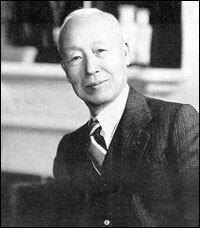 Syngman Rhee, the first president of the Republic of Korea, is actually a Vietnamese descendent. Rhee himself declared that he was of Vietnamese ancestry, tracing his origins all the way back to the royal Ly family. How did the Ly land in Korea anyway? In the 13th century, princess Ly Chieu Hoang abdicated the throne in favor of her husband, Tran Canh, marking the end of the Ly and the rise of the Tran Dynasty. Many members of the Ly royal family disapproved, deeply resenting the Tran’s actions afterword. Tran Thu Do, the man behind the Ly’s toppling, feared of rebellion. Therefore, he decided to purge the entire Ly family. As a result, thousands of Vietnamese people were put to death. Anyone bearing the name of Ly was hunted down and executed by the Tran. In order to save his people, prince Ly Long Tuong gathered the remaining members of the Ly and fled to Korea. This courageous act salvaged the lives of several thousand Vietnamese people, who would later become proud members of the Korean nation. One of these proud individuals would be none other than Syngman Rhee, the First President of South Korea. In the 1950-60’s, Syngman Rhee contacted President Ngo Dinh Diem of South Vietnam, seeking help in finding the origins of his ancestors. President Diem accepted, assigning one of his ministers to assist President Rhee on his search for spiritual truth. Unfortunately, since the tombs of the Ly family were located in North Vietnam, the proof of President Rhee’s ancestry could only be verified later on, after the death of Diem. The fact is clear now: thousands of Korean citizens are actually of Vietnamese origin, the descendents of the Ly family. Many Koreans, like Rhee Syngman, are very proud of their Vietnamese ancestry. Every year, Vietnam enjoys visits by many Korean tourists, there to visit the shrine of their Vietnamese ancestors. These people are the proud citizens of Korea, but they have never forgotten their Vietnamese beginnings. This entry was posted on October 12, 2010 at 12:21 am and is filed under Did You Know?, Dynastic History, Modern History, Politics with tags Ngo Dinh Diem, South Korea, South Vietnam, Syngman Rhee, Vietnam War. You can follow any responses to this entry through the RSS 2.0 feed. You can leave a response, or trackback from your own site. P.S., hopefully you’re not a spammer, or I just wasted 30 seconds of my life. Where the heck did you get the rumour? He is NOT a descendent of the Vietnamese Ly dynasty, but a descendent of the Joseon Lee dynasty(to be more specific his father claimed that he is remotely connected to Joseon Lee royal family). You know, there are tons of 李(expressed Lee, Ly in Latin alphabet) throughout Asia. It is a BIG shame that lots of Vietnamese still believe this to be true.